with the new year approaching, it's time for some decluttering. i'm taking the next two days to reorganize and clear out my living space, working space and head space. i love starting a new year with a clean, fresh slate. so i'll return next year (well, next tuesday) with fresh thoughts and a fresh approach to d*s, as well as some exciting changes that are coming in the next month. 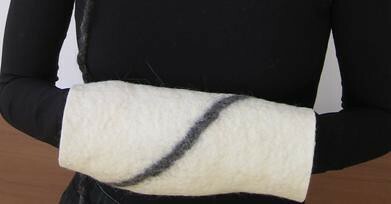 designer kim markegård's beautiful felt designs are inspired by "the stoicism an icy and snowbound world". 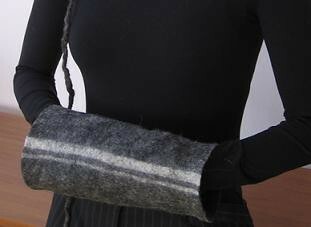 the minimalism in her work is really beautiful and these pieces she designed (available at virgin threads) are lovely (and perfect for protecting hands from the frosty winter air). each piece is created from natural fibers including sheep, alpaca, and llama fleece as well as silk, hemp, and flax among others. you can find more of kim's work right here. san francisco based artist, shayla su designs products that marry simplicity and modern design perfectly. after graduating from uc berkeley where she studied art and architecture, su set up shop in san francisco where she produces her signature works. 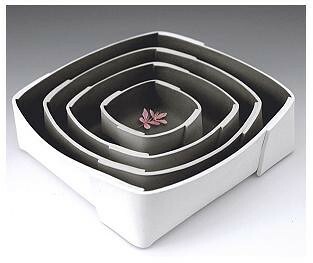 her "ripple bowl set" is one of my favorites, and is available online right here. you can find more information on ms. su and her work right here. enjoy! i'll skip the cutesy puns because these are cute enough. 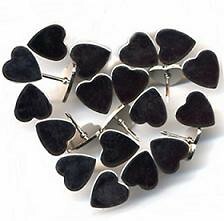 black heart tacks ($5 for 24) at fred flare. these will be gracing up my office cork board for sure. d*s reader, dustin passed along this design team based in san francisco. 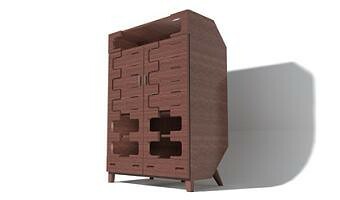 founded in 2001 by designer david goldenberg, sens furniture specializes in "creating beautiful, functional pieces of custom-made furniture". 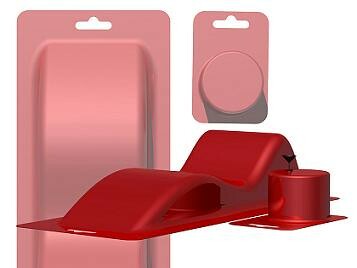 i like the way they pay a lot of attention to using quality materials and i think a lot of people will like the unusual shapes they use in their designs. 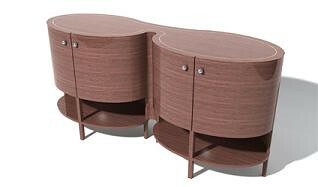 you can find more information on sens furniture right here. mark from sparkability always trades the best links with me- this time he passed along the stockholm based team of svenskt tenn. d*s reader my berglund was kind enough to write a bit about them on d*s a while back, but i wanted to add a bit more. svenskt tenn produces beautiful textiles, furniture and accessories for the home, as well as carrying a great selection of antiques. 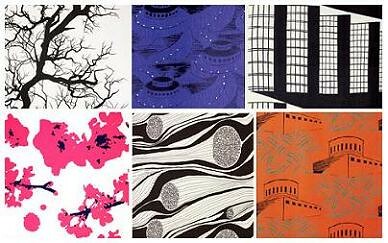 wonderfully modern with plenty of bright, colorful patterns and prints, svenskt tenn's collection is a must-see. for those of us in the us, they're a window-shopping deal (unless you can afford shipping from stockholm or london) but for those of you near stockholm (or liberty in london where svenskt tenn is carried), i highly suggest checking them out or ordering online (the acorn door stop and colored trays are gorgeous). based in athens, georgia, r. wood studio designs and produces beautiful pottery pieces for the home. working out of an old produce warehouse, rebecca wood and her team of 12 artists use local red clay to create simple, colorful pieces that have a wonderful "handmade" quality to them. my favorite piece is the nut dish- its uneven colored glaze around the rim is comforting to me- it looks like something i'd use in a country house somewhere (if i had a country house). the collection is divided into everyday, serving, speciality and one-of-a-kind collections- each one full of colorful pieces that are sure to add some color and handmade flair to your home. so, if you're looking for a departure from slick, sleek modern, check out r. wood studio and their beautiful ceramic collection. (shop online or find a retailer near you) enjoy! 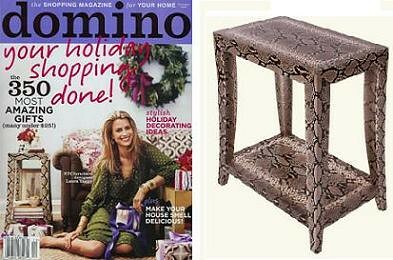 i've been somewhat obsessing over nyc designer, laura yaggy's python print "duncan" table ever since it was on the cover of december's domino. perfectly petite and wonderfully decorative with its cute python print, duncan is a great example of yaggy's work. 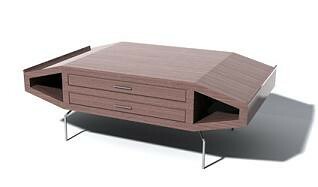 yaggy's company, lorely furniture currently has 11 pieces, most of which are various forms of tables (console, side, coffee...) available in a number of decorative finishes. i think her refined style lends itself best to classic lacquer finishes, but for those looking for something with a bit more punch, her pieces also come in faux lizard print, python and tortoise. you can find more information on lorely's collection right here. enjoy! 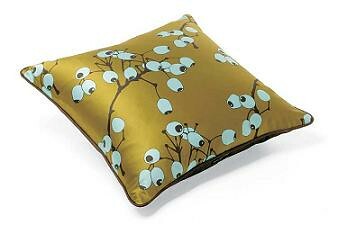 agnes & hoss launched their debut pillow collection in the fall of 2005, but just started selling online recently. with five designs to choose from (cape seaweed, eucalyptus, larch pinecone, starling and wool grass), a&h's designs are elegant and made of a "signature" heavyweight silk charmeuse front panel, faux suede back panel and piping in a coordinating color. at $173 a piece, they certainly aren't a budget buy, but they're a great splurge piece. available online at 2modern.com. the plexo light is an updated take on a traditional japanese latern. 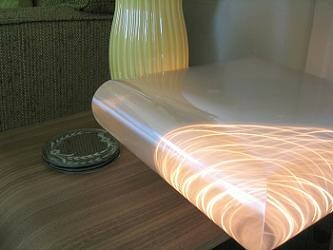 made from flat cut die film, plexo has internal lights that create an optical illusion as you walk past it. 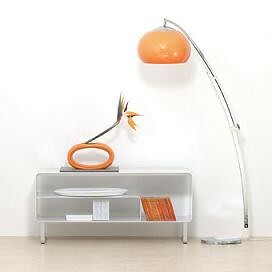 plexo can be attached to the wall or sit flat on a table or dresser- and at $70 it won't cost you an arm and a leg. perfect for treating yourself after a stressful holiday season. available online right here. enjoy! 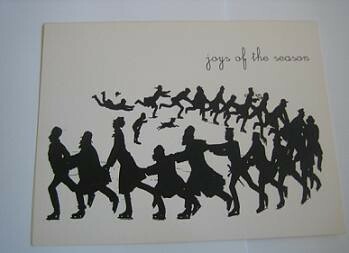 as i leave to hop on a plane to va for the holidays, i wanted to take my last post of the holiday season to say thank you. 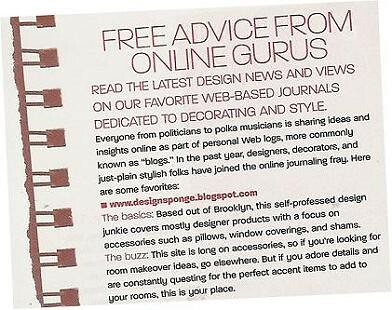 i'll be back on tuesday morning, but i wanted to thank you for stopping by this little corner of the internet- thanks for your support and thanks for just hanging out, sharing design news, great new products and anything and everything under the design sun. 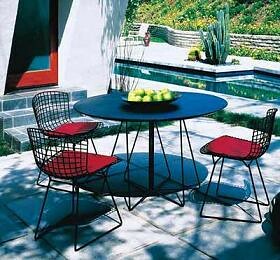 i'm really into red and black right now, especially while thinking about how to decorate our new office niche. 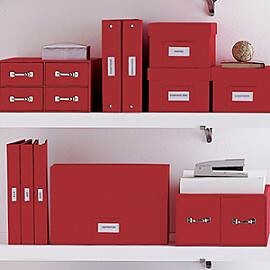 iomoi's paperweights cost $35-$60 a piece and come in some great red+black patterns, and these great red book cloth pieces ($24-$64) from hold everything would look great on shelves holding magazines and random odds and ends. in a perfect world i'd top it all off with something like this (with a nice black seat pad) and call it a day. really lovely little travel game kits at kate's paperie. perfect for the gamer on the go. 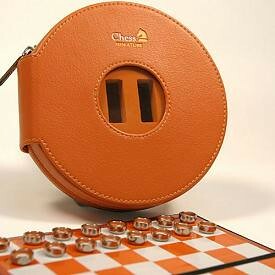 available in chess, poker and checkers (poker and chess to be restocked in 1-2 weeks) for $25 each. 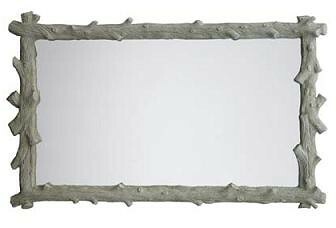 beyond the fact that i just like to say the words faux bois, i think this mirror is gorgeous. at $1,300 it's way beyond my budget, but hopefully someone can diy themselves a similar version and get the same look. available online at boston's koo de kir. enjoy! 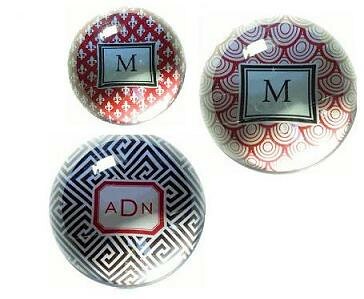 need a cute stocking stuffer for the office-y type on your holiday list? 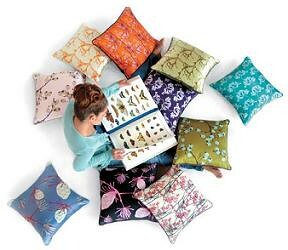 check out these colorful patterned options at see jane work, only $8.50 a piece. FIRST PLACE: Laura and her very clever, non-traditional Christmas tree! Congratulations, Laura- I really loved the way you chose to decorate and use materials and objects that were important to you. Your "tree" mannequin looks fantastic. Sparkability will be sending you a beautiful star egg night light so relax with a warm, soft glow all around you. SECOND PLACE: Lauren and her handmade mini modern homes. 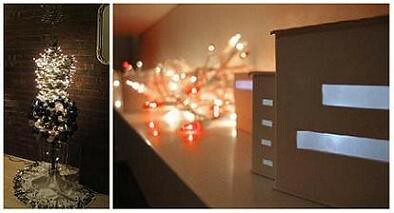 I love the way Lauren translated her love of modern homes into a fun, stylish holiday decoration. Well done! I love that you took the time to make the decorations yourself, too. For your beautiful work you'll be receiving one of Thorsten Van Elten's super cool pidgeon lights! Congrats! thank you again to everyone who sent in pictures- your homes looked wonderful. and thank you to sparkability for donating two great gifts to the lucky winners. honorable mention jenny (and her cute pink "tree") and eric from colorado who must have spent hours fastening hundreds of silver ornaments to his ceiling- that's holiday spirit, man. thanks again and happy holidays! the havana sofa is one huge hunk of furniture. with a huge base made of aluminum coated wood, it may be an unwieldy purchase, but i love how sleek it looks. makes me want to lie down and take a nap. you can find more info and purchase online right here. 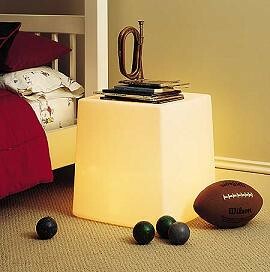 dwr's toto cube lamp provides a soft, ambient glow and can be used as a side table, small dining surface or makeshift coffee table/ottoman (holds up to 198 pounds). you can find more information and purchase online right here. 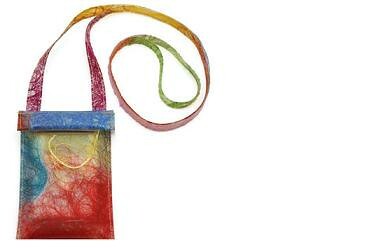 italian designer, luisa cevese's ipod bag is a really gorgeous way to tote your music in style. best known for her work that utilizes scrap thread and material, cevese's designs would certainly make for a unique holiday gift. available online at the moma design store. 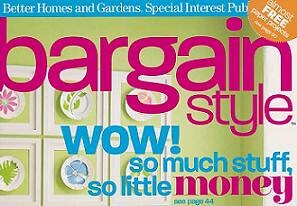 bargain style magazine (a bh&g special interest pub) was kind enough to mention d*s in their "online gurus" piece in the winter 2005 issue. thanks, guys! beautiful aubergine tablerunner from ona.com. 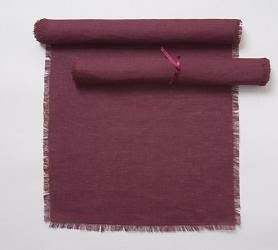 hand-cut and sewn from broad-weave lithuanian linen, the runner has fringed borders and is machine washable. available online right here. 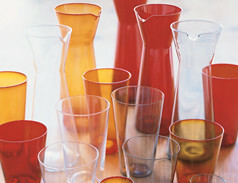 i love these simple, colorful carafes from roost. available for $17 online at relish. lovely, simple sideboard made of painted solid steel. pricey ($849) but pretty, at the magazine. 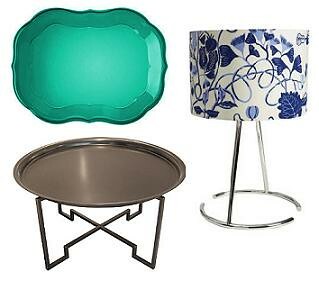 urban outfitters is carrying a cute little colored furniture collection including a side table and tea table. 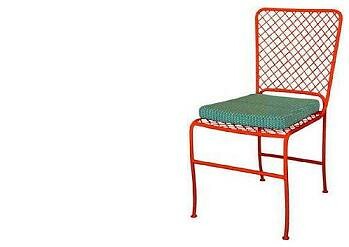 both come in vivid colors like green, coral and electric yellow- perfect for adding some pop where it's needed. i wish they were a bit cheaper than they are ($120 and $160), but they're still fun pieces to accessorize with. available online right here and here. 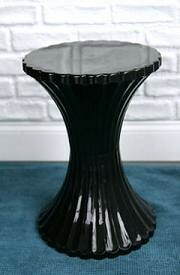 cute little black scalloped stool at urban outfitters. for $28 you can grab a few of em and have some extra seating for poker night or an impromptou get-together. available online right here.